St Scholastica's Catholic Primary School | Reception Class discover snow! 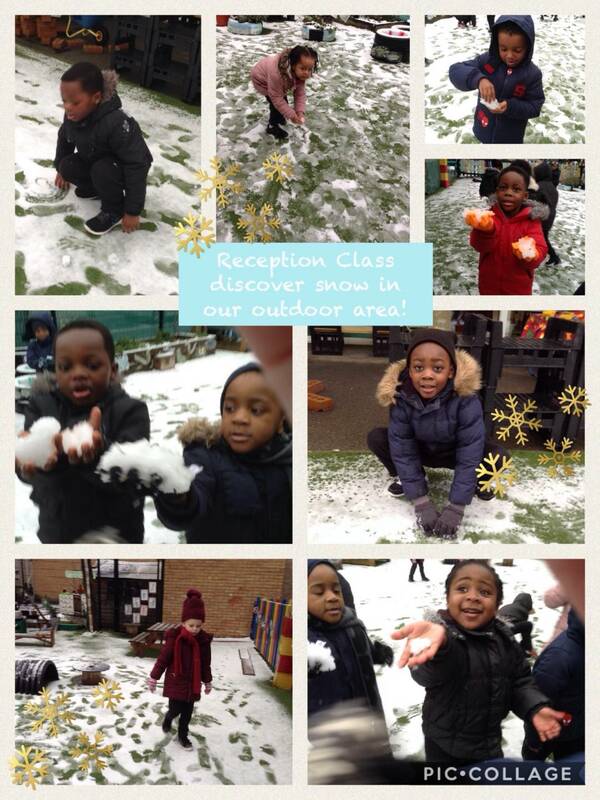 02 Feb Reception Class discover snow! It is snowing! It is snowing! Reception Class were excited to find snow in our outdoor area. We learnt that the world changes when it is covered with snow. We discovered and experienced frost, ice and snowflakes: all the signs of winter. We also observed and talked about how our plants and trees are different in the snow. Inside, we found out about winter animals using the computer. When water freezes in the sky, it falls as _________ . Ice occurs when water _________ . If ice is near something warm, it will begin to _________ .